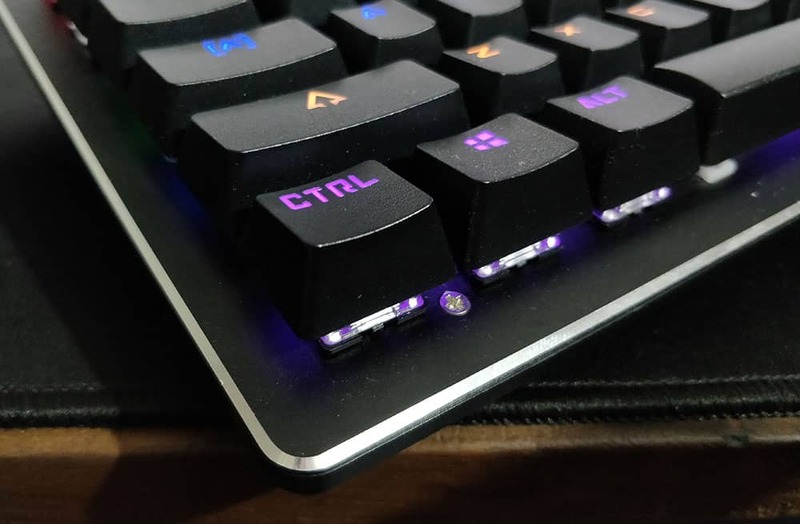 Are you looking for a really nice mechanical keyboard under Rs. 2000 then you are at right place because here we are talking about text shift flamer mechanical keyboard which will cost you Rs. 1700 Only and comes with colorful backlighted keys so, is ti the Best Mechanical Keyboard Under Rs. 2000 Let’s find out. Texet is not a very famous name in computer accessories departments like some other budget-friendly brands like redgear, cosmic Byte. But I took some risk to buy this texet shift flamer keyboard and that is one of the best decisions I ever make in my life. Because it exceeds my expectations I never thought that this much responsive and tactile feedback I got for such a low budget mechanical keyboard. Although this Mechanical keyboard just cost Rs. 1700 but you are getting an aluminum top with chamfered edges which add a premium look to it and also the screws they use to attach that aluminum sheet to top is also made of steel. The Keycaps are also built from high-quality plastic doesn’t look cheap at all. This keyboard also bit heavy which I feel is a plus point because it doesn’t move at all while typing on it. So, Overall Build Quality of the Texet Shift Flamer Mechanical Keyboard is superb and I Give 9 out of 10. One marks I cut due to Dot and Comma looks same on this due to bold print on this keyboard. Performance form this keyboard is amazing you will be amazed how good it is. The tactile feedback you got from keys is superb and the typing experience on this keyboard is amazing. 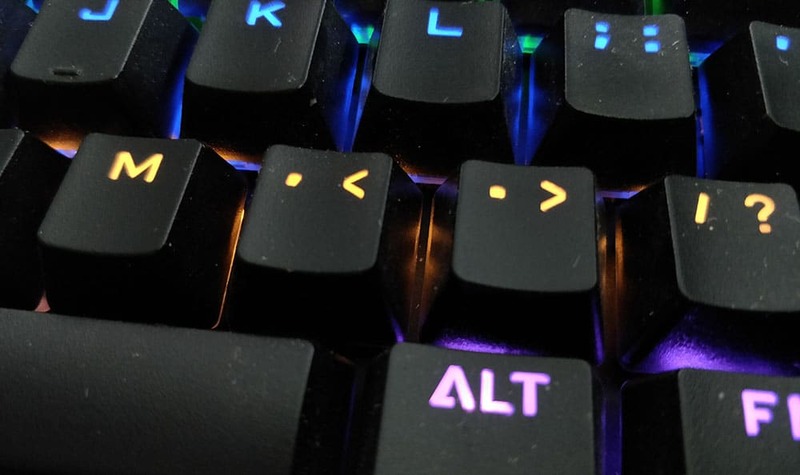 The gap between keys is perfect and you also got number keypad which is great and you also got some light effects on this keyboard. Overall Sound and feedback for all the keys are Superb and they use something similar looking keys like Cheery MX Blue. Shiftflamer comes with 100% Anti-Ghosting conflict free keys. Due to that, you can enjoy the full functionality of all the keys without any delay at all and never ever miss a keystroke. Hit any number of keys simultaneously and the output of all of them will be seen on your system. Enjoy the seamless gaming experience that you always wanted. This keyboard does not mind splashes of water on its face. While you cannot expect it to keep working underwater but be assured, any day to day water contact is not an issue for this keyboard. Just be sure to keep it upside down for an hour so that the water drains out when you have poured a liter of it. 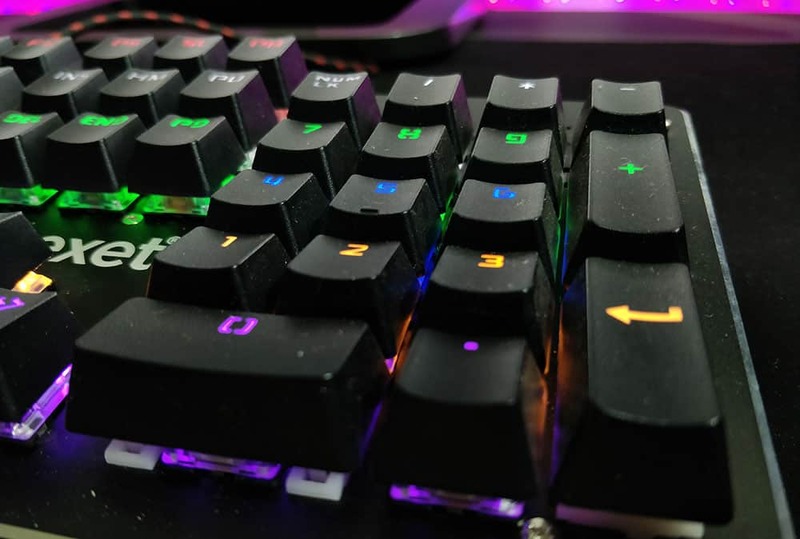 Overall I’m more than happy with the performance of this Texet Shift Flamer Mechanical Keyboard and i Give 9.5 out of 10 to this in Performance Department. Lets’ Start with good thing first then we move to cons. + This Keyboard comes with 100% Anti-Ghosting conflict free keys. + Multiple Lighting Effects, Ergonomic Aluminium structure, 104 Injection Moulded Mechanical Keys. + Up to 50 million times Keystroke life. + This Keyboard has 6 LED lighting modes. 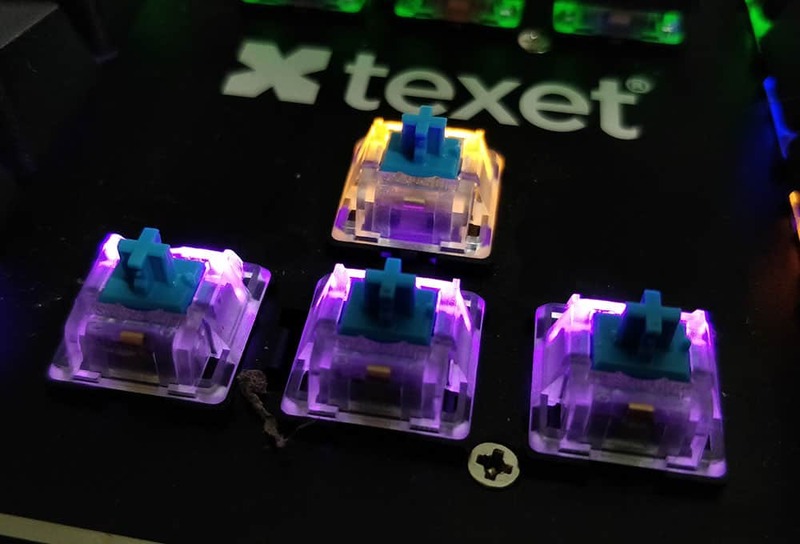 Now let’s talk about some cons of Texet shift flamer mechanical keyboard. – You can’t change keys color as per your setup lighting. – Ther is no palm rest on this keyboard. – Due to bold Printing on key capes, some keys print is not proper like dot and comma look almost same. FN + ↑ / FN + ↓ adjust the brightness of LED – 5 different brightness available. FN + + / FN + – adjust the breath of MODE 3 – 5 different speed available. It’s Very Simple If you have a budget up to Rs. 2000 this is the best mechanical keyboard option available in the market in 2018. So, I Hope you guys like my work if yes then please share this on Facebook & Twitter. And If you have any suggestion do drop in the comments section Below.